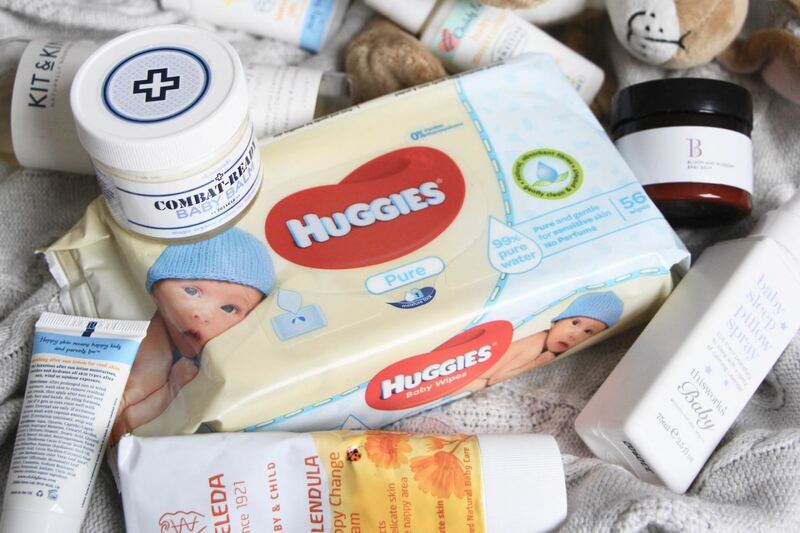 In my second post with Huggies Pure Wipes (the first one, The Art of Nappy Changing, is here) I want to run through some of my most-used baby products for bath and body. 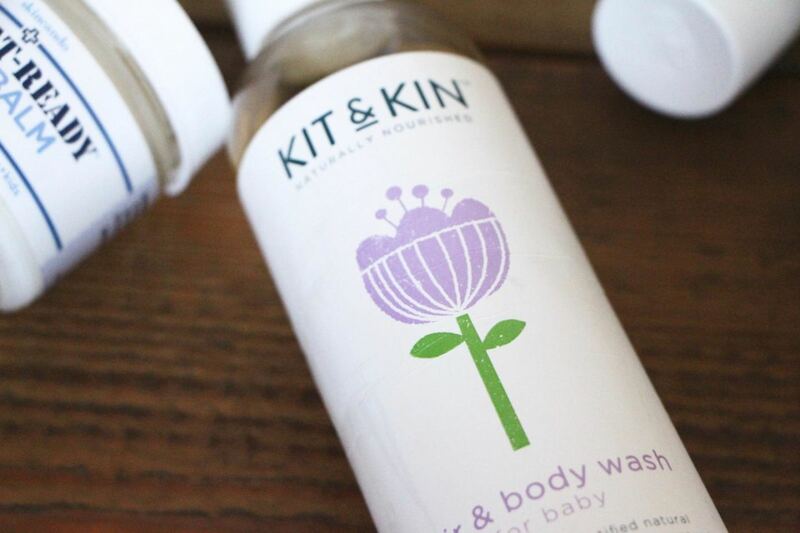 I could fill pages and pages with reviews of all of the things I’ve tried (I use them on myself as well as Angelica and Ted – if a body wash makes my hands shrivel up into prunes after bathtime has finished then I know it’s too drying for their skin, too!) but these are the bits and pieces that I’ve been ploughing through over the past few months. There’s something of a common theme in that all of the products are relatively natural, ingredients-wise; a massive grey area and one that I’m not going to dip into now, but all of the brands I’ve included seem to be formulating their products in a way that’s as gentle and kind to young skin as possible. I often think that when we talk about things being “natural”, it’s not so much the origin of the ingredients that we’re on about as the general philosophy behind the brand – what’s been included and, possibly even more importantly, what’s been left out. Most of us don’t expect a shower gel to have been hand-crafted lovingly in a garden shed using only ingredients from the vegetable patch (we need products that are safe, that won’t go off after a day out of the fridge, that don’t need to be stored in a fridge in the first place, that offer some sort of sensorial pleasure, that aren’t prohibitively expensive to buy) but we do want a shower gel or body cream or baby shampoo that is gentle and kind and perhaps free from some of the ingredients that we have issues with. 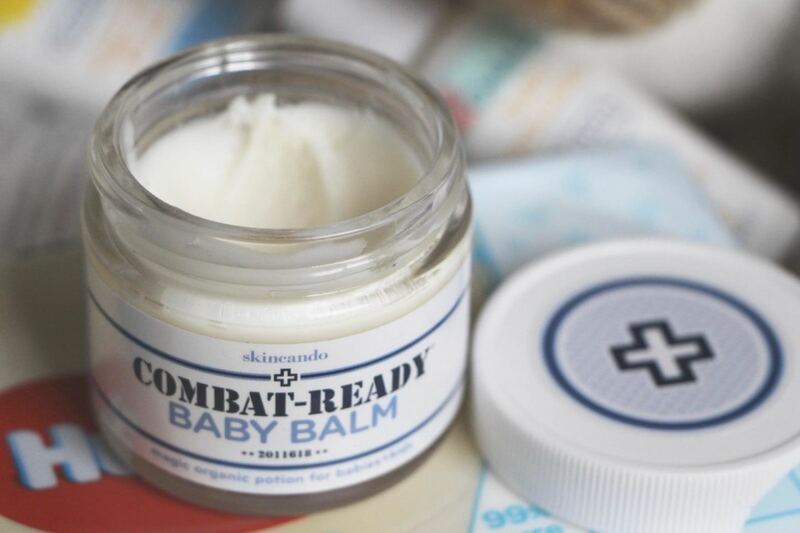 Here are the products in my current baby-toddler beauty arsenal – they all in some way champion naturally-sourced ingredients or are very transparent about what they do and don’t put into their formulas. That’s not to say that you won’t see “chemicals” in the ingredients list (and there’s nothing at all wrong with a lot of ingredients that look and sound rather scary on paper – I have other favourite baby products, such as Cicaplast creams, that are entirely chemical-sounding) but on the whole the ethos of the brands is to keep things as soft and gentle as possible. 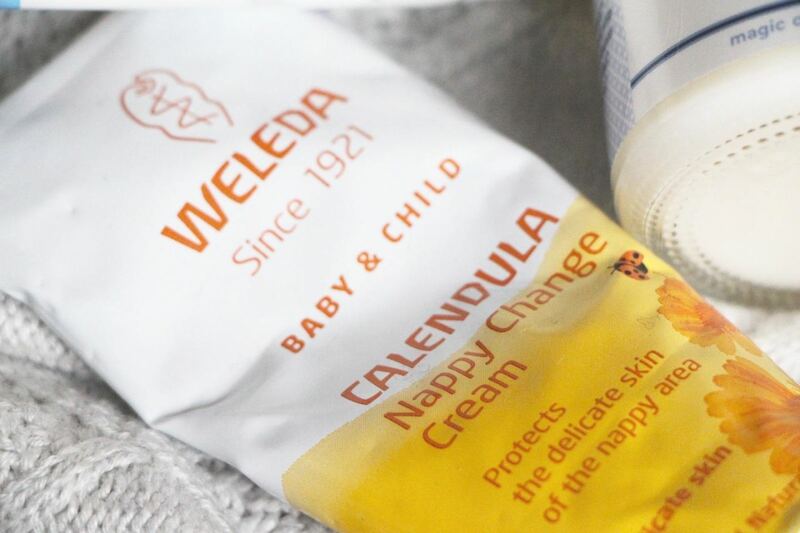 I’ve used Weleda’s Calendula Nappy Change Cream since Angelica was newborn and it is absolutely brilliant. Some “natural” nappy creams are very runny and don’t contain zinc oxide, which is the stuff that makes traditional nappy creams very white and hard to spread. It’s also the stuff that helps to form a barrier over the skin and prevent rashes so I find that without it, a nappy cream or “diaper cream” doesn’t seem to be quite so effective. Weleda’s formula contains zinc oxide, but also sweet almond oil to keep the skin moisturised, lanolin to create an effective barrier and the all-important Calendula to soothe irritated and inflamed skin. The whole Calendula range is excellent (there’s an all-weather face cream that I use myself, when it’s very cold outside!) but the nappy cream is a very wise investment indeed. It’s rather pricey for such a small amount of product, but I do have to say that Bloom and Blossom have come up with a very concentrated and effective moisturiser in their Baby Balm. Other than applying lard, I can’t think of anything that compares. Designed to heal and protect faces and well as baby bottoms and knees and elbows and whatever else, it uses a mixture of oils and lanolin and shea butter to quite literally baste the skin and seal in moisture. I find that I have to dress the baby straight away to stop him from rolling it all over the place and turning the house into a grease palace, but it’s worth it for dumpling-skin that’s completely smooth and soft to the touch. Anyway, Childs Farm make beautiful washes and bubble baths and moisturising creams that won’t break the bank – the huge 500ml bottles are even better value for money than the standard sizes. I’ve been using the unfragranced body wash on the babies recently – it’s lightweight, non-drying, doesn’t contain SLS (a cleansing agent that can be a little on the harsh side) and is free from parabens, if you like to avoid those. Does a great job of cleaning grubby hands and faces and whatever else, but keeps things soft and gentle. A great buy. If you read A Model Recommends then you’ll know that I have a dependency issue when it comes to the Deep Sleep spray from This Works. It’s an all-time favourite that helps to knock me out when I’m stressed or fidgety, and I’m now forcibly passing on my sleep spray addiction to the offspring via their Baby Sleep Pillow Spray. I spritz the rooms and a little on the cot sheets to create a lovely, calming ambience and although it doesn’t seem to be having the desired effect on Baby Ted, who likes to wake up for a bit of a party every few hours, it makes everything smell beautiful and keeps me relaxed when I totally want to lose my rag. Free from the potentially harsh cleansing agent SLS, this wash contains moisturisers to keep skin soft and extracts of marshmallow, strawberry and mango to help soothe and protect. So there are my current favourites. I’ll be back with more as and when I use things up – now that we’re back on a regular bathtime routine I’m ploughing through my stash! 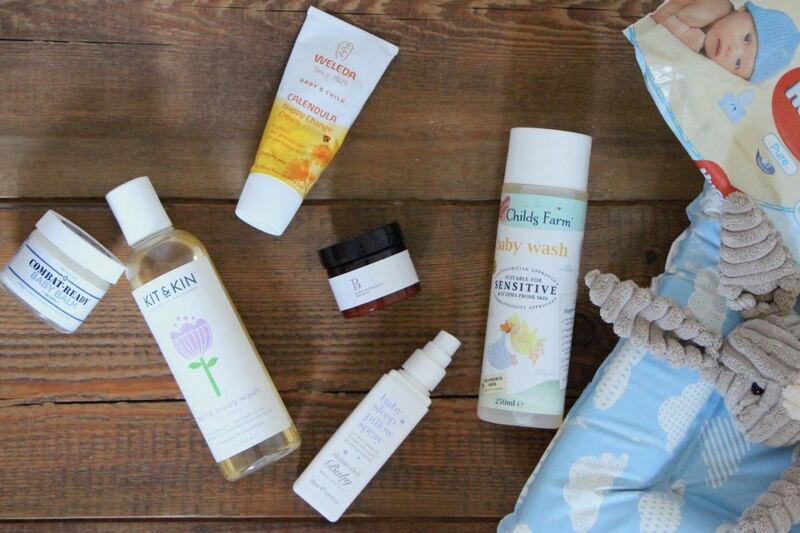 And it is so important to choose baby products carefully; Angelica has quite dry skin that’s prone to be a bit itchy (I need to get it checked out, actually, I think she might have a little bit of eczema) and there are certain mainstream (quite iconic!) bath things that really make her skin worse. Quite dramatically. If your baby has very sensitive skin then look out for added perfumes in the ingredients list and for everyone, avoid methylchloroisothiazolinone and methylisothiazolinone which can be used as preservatives in beauty products but have a terrible track record for causing skin sensitivities and reactions. Some lovely starting places to look for very natural (often organic) products are Green People (they actually have a handy guide with ingredients you might want to avoid here) and Neals Yard Remedies* as well as Pai Skincare and (if you’re in the market for some extreme luxury!) Aurelia*. This post contains an advertorial for Huggies Pure Wipes.